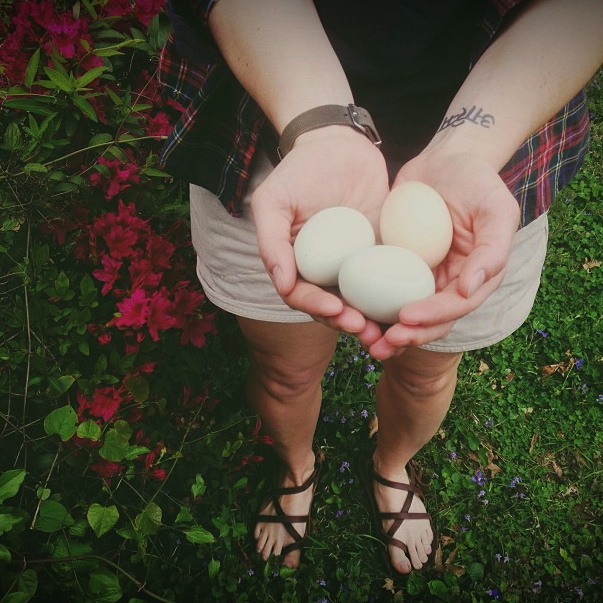 Lately I've been thankful for Patagonia canvas shorts and fresh farm eggs. For front porch pups and paprika colored doors. For rovers who love superheros and morning juice mustaches. For the places I've traveled and for glazes that turn out better than expected. For first meals in new homes and trusted friends. For handmade gifts and notes found in secret pockets. For homemade bread left on our doorstep and the thoughtfulness of others. And for tree tunnels in Cherokee Park and afternoon drives in the Wagoneer. I'm grateful for a wife who has a bright mind filled with great ideas about life and always looks hot even though she may not agree. I'm grateful for a job that allows me to help others and have fun while doing it. I'm grateful for a state that is beautiful! I'm gratefull for blog posts like this that brighten my day! I'm grateful for the man who showed me to the library today.wouldn't have found it otherwise.